New Delhi: On a day the rupee touched a new lifetime low of 53.85 against the dollar, C Rangarajan, chairman of the Prime Minister’s Economic Advisory Council, said the scope for intervention by India’s central bank is limited because external factors are putting pressue on the currency. “The movement of the Indian rupee is determined by a lot of factors—both domestic and external. 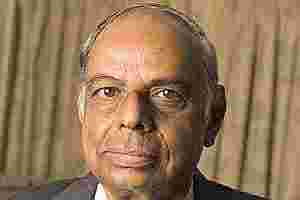 We can act if Indian rupee’s behavior is due to domestic factors like current account deficit", Rangarajan said on the sidelines of a conference in New Delhi. “There is nothing much that the monetary authorities can do to check the rupee as it getting affected by dollar’s movement vis a vis other currencies. There are not many options", he said. The Reserve Bank of India (RBI), though, has been pro-active in checking the rupee’s volatility, according to Rangarajan, a former governor of the central bank. “The stated policy of RBI is to prevent volatility in the foreign exchange market. To the extent to which the behaviour of the rupee can be attributed to volatility, the RBI will act", he said. The central bank’s intervention in the foreign exchange market will be limited to checking the rupee volatility, Subir Gokarn, RBI deputy governor, said recently. Rangarajan said the rupee’s fall could be a temporary phenomenon. “Once capital flows (to India resume), the present tendency will be reversed and possibly the rupee will appreciate", he said.